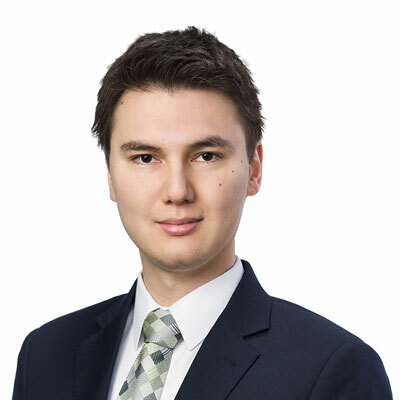 John Siddons is an associate in the Advocacy Department of Gowling WLG’s Calgary office practising in the areas of medical defence and commercial litigation. Prior to joining Gowling WLG, John articled and was an associate at another large Canadian firm during which time he was seconded to Doha, Qatar, where he practised primarily in international commercial arbitration on energy-related disputes. With respect to international commercial arbitration, John has acted in arbitrations held under the UNCITRAL Arbitration Rules and the International Chamber of Commerce Rules for arbitrations seated in London, UK, and Canada. With respect to domestic disputes, John has appeared before the Alberta Court of Queen’s Bench. John obtained his LLB and BCL from McGill University. During his time in law school, John interned with a legal clinic providing legal assistance to immigrant seniors. John was also an English editor with the McGill Journal of Law and Health and clerked at the Court of Québec. University of Calgary, BA Hons.